How to Grow Your Business Using Mobile Coupons? These days, big companies are trying to promote their products indifferent ways like online campaign management, through SMS on mobiles, on television, banner ads and offline advertisements. As much as we know, the companies who promote products by offering promo codes through mobile SMS, get more benefits. Actually, Mobile Coupon Marketing is the most convenient way to reach to customers. Not only you will target your customer but also can also target many type of mobile marketing strategies. And a very good thing about mobile coupons or promo codes marketing is: if you want to target local business then it is the suitable business strategy for your business. Through SMS, e-commerce and branded companies give the coupon codes for best offers to targeted clients. What’s the main reason: why these companies prefer the mobile discount coupons marketing strategy? Do you have any idea about that? Read more to know. 1. Companies can directly reach their customer and benefits them. 5. Easiest way for brand promotions. In these days, each and every famous e-commerce companies like Paytm, eBay, Jabong, Amazon, Flipkart, Snapdeal, Shopclues and all food and beverages companies, interior-exterior companies are offering promo codes. In this 21st century, marketing strategy is very complicated to handle. So, small scale business owner should nurture their skills in such a way so that they can compete with the competitive market. Are you a small or middle sized business owner? 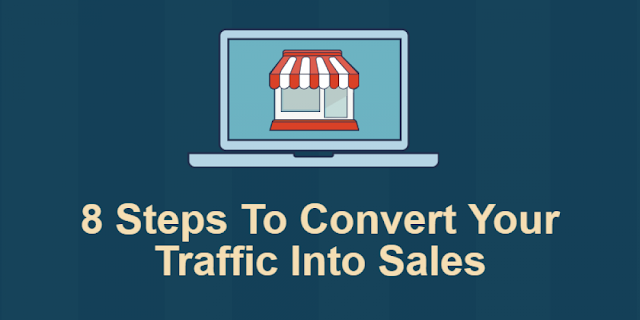 If so, then you can start with the mobile coupon marketing tricks to grow your business. Hope this article will be helpful for those owners who want to see their companies at top level. This article is written by Ameeta Mohanty, a professional blogger who love to write different kind of articles from several categories like travel, technology, health, shopping and news. Apart from her profession, she loves singing, dancing and enjoy life to the fullest. When WhatsApp announced the desktop application, I thought it would not be a mirror application like as WhatsApp Web. Unfortunately, the desktop application is found to be an application of WhatsApp Web. WhatsApp Desktop have no special features to look into and is nothing to be talked about. It needs the WhatsApp on phone to be connected to the internet and kept on sync. 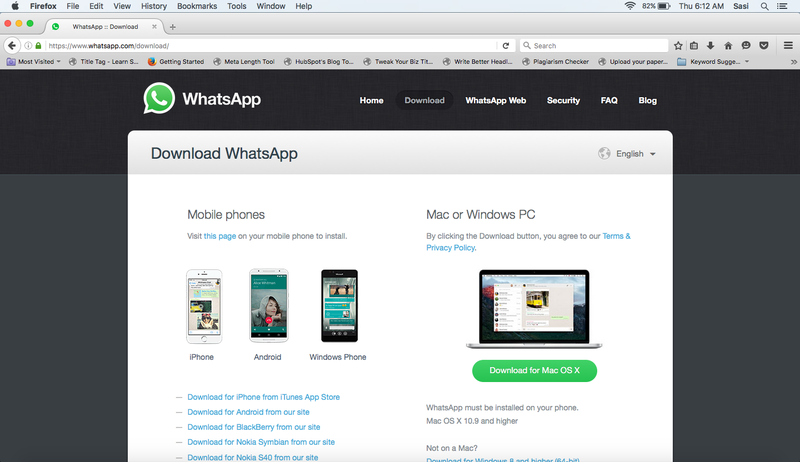 Why you should not download WhatsApp Desktop? There is a reason for every statement of mine here. If an application which needed to be installed on the computer but have no special features than the web version, what’s the point of downloading and installing it on the disk? Yes, it won’t take much system resources. After all, an average computer these days is not low configured. A simple application like WhatsApp Desktop might not affect the performance but, encouraging such applications would start a new chapter in the web application development with no actual benefits to the user. Imagine once you having to install Facebook, Instagram, Twitter, Hike, Vine, YouTube, Pinterest, X, Y and Z on the both sides (on computer as well on mobile phone). Your computer might handle them all but, can your mobile phone handle the resources as better as the laptop or desktop computer? This isn’t a paradox to brainstorm. The logic is very simple. If you keep the phone synched for one or many applications that needs to run along with the computer, it uses most of the resources. Using a device with at most resources for longer periods may wear out the hardware including the battery quickly. Because, smartphone are made for moderate multitasking, gaming and computing purposes. They can never replace desktop ad laptop computers unless in future. People who are wanting to signup for WhatsApp might get disappointed with this application. As WhatsApp Desktop is made to mirror the conversations on the phone on to the desktop and vice-versa, it stills a smartphone with WhatsApp installed and connected to internet. Those who are using heavy ground simulator applications like Blue Stacks only for WhatsApp may have to continue using it for more longer. One cannot deny the fact that with the advent of mobile phones, application technology is moving rapidly ahead – gaining conformity from this dynamic and repulsive generation. As of July 2015, Android users were able to choose between 1.6 million apps. This surely keep users yearning for more from android applications. There are high expectations for more innovative, intuitive and engaging mobile apps in android platform. For this to happen, there are many different tools available. But, there are plenty of challenges to face in choosing the right tools. Today, I shall talk to you about 5 android app development tools which no one told you about. Let’s get it straight about Genymotion. It is fast, efficient and really cool third-party emulator that can replace default Android emulator. The ability to run on a virtual machine is something which differentiates Genymotion with another android emulator tools. For the default Android emulator, one is required to go the plug-n-play way, but imagine the same, in with better efficiency and better experiences – in less setup. Well, that is Genymotion for you. It comes with an inbuilt multi-touch Appcelerometer which is resourceful in building apps that require parts of the SEK. The beauty of Titanium Appcelerator lies in its ability to develop cross-platform mobile applications. Even though, if you want to develop a dedicated android app, it gives a lot of flexibility in terms of rendering the UI using the platform’s native controls. Titanium offers UI objects for buttons, text fields, lists, etc., while at the same time these are supported by the mobile platform’s authentic representation of the relevant native controls. Well, this one is a multi-utility tool used for shrinking, optimizing, and obfuscating a simple Java application. PROGaurd works for removing unused code and renaming classes, fields and methods with semantically obscure names, and pre-verifies the processed code for Java 6 or for Java Micro’s faster class coding. The PROGaurd application tool utility lies in creating more compact code, for smaller code archives, cross-network rapid transfer, quicker loading, and smaller recall footprints. Moreover it also lists dead codes, so it can be removed from the source code. The core advantage of PROGaurd lies in its compact template-based configuration. If you are looking for any add-on apart from what is all overwhelmingly offered, then make a note – it also has an optional graphical user interface alone with plugins for Ant and for the JME Wireless Toolkit. IBM Bluemix is a cloud-based, multi-language-supported PaaS service. Generally, programmers go with Simplicite aPaaS for Bluemix for developing agile custom enterprise applications. It comes preloaded integrated DevOps deployed to build, run, and manage applications on the cloud. Various programming languages supported by Bluemix include Java, Node.js, Go, PHP, Python, Ruby, Sinatra, Ruby on Rails and along with extended support to Scala with the help of build packs. Offering some of the high-end enterprise-level services that can easily integrate with cloud applications, Bluemix does not demand any installation and configuration know-hows. Over and above supplementary frameworks and services, Bluemix comes equipped with a dashboard for creating, viewing, and managing the apps and services so as to monitor your application's resource usage. Xamarin is one of the most widely used cross platform app development tool. The uniqueness of Xamarin is that it allows developers to create native Android applications using the same UI controls as one would use in Java. But, the forte of Xamarin lies in offering flexibility and elegance of a modern language. This includes using C# blended with.NET BCL, and dual first-class IDEs - Xamarin Studio and Visual Studio. Even though, being a cross-platform tool, Xamarin tools is also used to write native Android apps with the UI. Also, there is a provision to share the code across multiple platforms. Apart from the debugger, for code completion, Xamarin Studio incorporates C#, an interactive Android UI builder for creating user interfaces minus the XMLs. These android app development tools come handy in developing an effective and efficient app. But due to the inevitable change which technology carries with itself, one cannot remain sure about its longevity. Therefore, it is always recommended to stay updated especially when it comes to android app development tools. The Android app users all across the globe rest high expectations on developers to ensure smart and smooth apps for optimizing the utility of their devices. But the root of all solutions lies in the code which a developer develops and the tools one incorporates for developing Android apps. Shahid Abbasi is a marketing consultant with Peerbits. The company is one of the top android app developer. Shahid likes to keep busy with his team, and to provide top-notch mobility solutions for enterprises and startups. There is another side (the benefit side) of installing updates for your Windows 10 operating system on your machine. And that side brings the more features in the upcoming update. Microsoft is planning to push Windows 10 anniversary update 2016 with a lot amazing features and upgrades to its operating system. You should let your system download and install the updates as they are going to bring the valuable visible and functional changes to the operating system even though the automatic updates are disabled. The anniversary update brings the following upgrades to the UI and functionality of the Windows 10 computer. If you are a UNIX/Linux lover, you would love the new changes that are coming through the aisle. Microsoft considered to fulfill the request of the users in providing the UNIX/Linux bash shell for Windows command line interface. Therefore, they have built a Windows Sub-system, for Linux (WSL). This brings the improvements to command shell with the added functionality of bash shell. The bash shell can be accessed by entering the command ‘bash’ in the command prompt. You will have the full control over the UNIX/Linux libraries and no virtualization is needed to enable it. Just install the anniversary update and you will get the bash shell functionality get installed with it. The whole Windows open with a white background by default. We didn’t had an ash gray or dark matte gray themed Windows so far. The new anniversary update brings the dark theme for Windows which is pretty cool and geekish. I’d also prefer to use the word eye-friendly. However all apps might not adhere the black theme except the windows of settings menus. The Emoji’s are totally revamped with the new skin tones and it now makes chatting from an Windows device interesting as never like before. Windows Ink that works as a true digital ink for the windows touch devices, will be added the new anniversary update of Windows 10. User can use his fingers or ePen to write on the screens to look more natural as it looks on paper when drawn written with pen. You can check out the programming technicalities of Windows Ink technology from the MSDN articles. The Cortana is the one of the best features that Windows brought to us. It would be much better and intelligently accessible anywhere including on the locked screen. The voice assistance anywhere responds to the call ‘Hey Cortana’ and listens to your commands. No wonder if it reminds you of the ‘Hey Siri’ feature of Apple iOS. The is one of the phenomenal feature that is being introduced by the Windows itself first into the market. Windows Hello need no PINs and passwords to unlock the device, it needs you and your eye positioning to unlock the screen. This feature is till in beta phase yet will be introduced with Windows 10 anniversary update of 2016. Microsoft always loved gamers and is. With the anniversary update of 2016, Windows 10 users will be allowed to connect to the Xbox players and join the games right from their PC’s and mobile phones. Microsoft delivers a special edition of DirectX 12 update with his anniversary update that allows users to connect to Xbox live transforming the conventional PC gaming experience. Also with this Windows 10 update, you will get Forza Motorsport 6: Apex for free. Do you still want any more reasons to stop this anniversary update of Windows 10 of 2016? C’mon, you can’t be that rude to your computer. How to Remove Your Phone Number from True Caller Database? Being identified is not good every time. When it is on True Caller, it is more frustrating. True Caller, having the major database of phone number identities serves better at sometimes and stealing privacy at most of them. Its purpose, to find the details of unknown number owner is fulfilled when it comes to cyber threat and related cyber cases. When it comes to privacy, it scores almost zero. Let me tell you some story lines that will make you understand why True Caller is a total loss of privacy - Mr. Somebody who is a popular guy in his town who is often getting unknown calls from both the love and hatred. He bared this non-sense for a month and he thought can’t take it any more. So he decided to change his most liked and chosen number 9988776655. He was happy after changing his number and two months passed. He got some new contacts along with the new ones this time. The unknown phone calls increased and finally made him quit using a mobile phone. The solution for such a problem is not the quitting using mobile phones, but quit being listed in True Caller database. True Caller allows to find people by name or phone number. This feature not only annoys famous one, but also individuals who wants to hide their phone number details. What if it happens in case of a girl? what if someone could easily get her number and start teasing? As the number of True Caller app users are increasing day by day, protecting our numbers from being recorded into their databases is impossible. So it is better to remove it ourselves. True Caller officially allows users to request for the removal of their numbers from their database. Let’s see how to. Step 1: Open the link http://www.truecaller.com/unlist in another tab. Step 2: Enter your phone number that you wanted to be removed and enter the capcha code and click ‘Unlist’ button. Step 3: That’s it you’re done! Just wait for another 24 hours from now on and check it in True Caller search after that. If anyone searches for your number, they would get ‘0’ results displayed. Isn’t it simple? Note: On the good side, Truecaller is a very good app that helps us know who is calling. We actually don't pick up everycall everytime due to some busy-ness but, some calls are yet to be answered anytime. Hope that explains everything on teh positive side of it. Google has introduced a YouTube trick on the geek week in the post-earlier months of this year. It is a very cool game trick that works while the video is playing. All you have to do is to just follow my instructions of how to do it. Go to Youtube.com and click on the video you wanted to watch. Now pause the video and type ‘1980’ (without quotes). Wait for a sec and see the magic of falling missiles on your video. Defend them firing back with your mouse or just leave to see what happens when you let the missiles go booom!! on your video. This is an era of smart phones with stupid batteries. No matter how much our battery capacity is, we always find it less to satisfy our non-stop needs. Power bank do come handy. But they also make your phone’s battery weak (in the long run). In this post I will talk about some very easy-peasy ways to save your battery life. I love the color black. Black wallpaper is what I have always used. Little did I know that I have silently adding to my battery life. Now I make it a point to use black wallpaper and advice my friends to do the same. Sometime back I really developed a thing for trying out new themes. Now I understand why the battery consumption increased drastically. Now I have settled for a decent dark theme to save my Android’s battery life. Auto-brightness is cool. Especially, when you have outdoor plans for the day. You may just increase the screen brightness just before stepping out. You can also reduce the screen brightness when you are in a well lit room. I often find the auto-brightness slightly brighter than it should be. If you don’t believe me, compare yourself. I have kept the minimum screen timeout so that the screen gets locked within a couple of seconds. This was definitely not a battery saving strategy. But it was more of a privacy strategy so that the people around could not read my messages. Now that I know my battery life gets extended with this step, I practice it religiously. I read somewhere that heated smartphones puts an extra load on the batteries. Let’s be honest. Many phones have heating issues. Since you can’t change things internally you can keep a lookout on the external factors. For instance when you are out in the sun, keep the phone in your pocket or bag. You may also keep the phone away from the laptop’s fan or any heated up material or devices as such. I have often seen people using local brands for replacing batteries/chargers. Do you know you are doing more harm to the phone by sparing a couple of bucks? So next time when your battery/charger is dead, go for a genuine one. I am sure your battery life will be enhanced with this little step of yours. You don’t use your mobile when you sleep. Do you? So why not put into the sleep mode? You can make a list of important number and put them in the exception list when the Sleep Mode is active. Also there are times at office or college when you know you won’t get a chance to glance at your mobile, why not activate the Sleep Mode and keep the battery percentage intact. These are smart features that we are talking about that makes your phone smart. For instance the Smart Stay option in Samsung. It’s needless to say these features (and some more similar features) need not be kept ON and you can add to your battery life. 4G is the new thing is town. Smartphone and telecoms are trying to woo customer to opt for their services with 4G. But did you know switching on 4G on your smart phone is so much battery consuming. What you can do is switch off 4G and use 2G, and swap when you want to enjoy net services on your Android. The usual connectivity features in our phones are GPS, Wi-Fi, Bluetooth, NFC consume a LOT of battery. Among all this, GPS tops the list of battery consumption. Turn all of them off when you don’t need and add to your battery life. Often we get update for the apps on our Android. But do we do it? Not always. Not always the app updates are useless. Sometimes, the update paves the way to a better battery life. Update your apps to enjoy such benefits from the app developer’s. Most phones come with battery saver’s. Use it as it prevents the battery from draining away. In case you don’t have battery saving mode, install any battery saving app and the app will do the needful for your Android. Auto-update and auto-sync is surely a blessing as it continuously updates with the Google server and all your important data is just a log in away. But having auto-update or auto-sync running in the background all day long is one of the ways your battery loses its juice. Rather what you can do is manually update and sync once a day. That would be all from us on ‘How to save your battery life’. Do you have any more method up your sleeves, let us know in the comments below. Thanks for reading. Now that you have upgraded to Windows 10 from your previous version of Windows operating system. This upgrading process will not only keep your files and programs from your previous versions but also keeps some of the OS files in a folder named Windows.old. Windows.old folder takes a lot of memory of at most 20 GB(depends) roughly. Neither the old OS files are useful nor the memory taken by it. Literally, the memory taken by the Windows.old folder is a dump unless you want to downgrade back to your older Windows sometime in near future. Note: If you wanted to test the new Windows 10 through the upgrade for sometime and decide later whether to have it continued, do not delete the Windows.old folder. It is only backup that helps you switch back to previous version easily. However, 20 GB is not a small chunk of memory to leave it off. Those who really care about this amount of space better take a step forward to delete Windows.old folder. Windows 10 is really an improved version of Windows OS and you won’t find any program incompatible issues with the software that was installed on your computer. So, I think you won’t find a necessity to downgrade back to older version again. It is always your choice anyway. Selecting the folder from the drive and hitting ‘Delete’ button is not the safe way of deleting the Windows.old folder. Using of command prompt to delete the folder is also not suggested. To remove it safely from your system drive, better do it from ‘Disk Cleanup’ utility. Step 1: Go to This PC > Right-click on Local Disk (C:) > Properties > Disk cleanup. This won’t show up Windows.old folder in the ‘Files to delete’ options. Step 2: Click on ‘Clean up system files’ button and that will scan for the unnecessary files on the drive with administrator rights. This will then show up the Windows.old folder in the ‘files to download’ options. Step 3: Select the ‘Previous Windows installation(s)’ folder and click ‘Ok’. It will then show you a warning saying that you can’t downgrade to the previous version of windows once deleted. Step 4: Click ‘Ok’ to proceed. It will start the cleaning process right then. That’s it. Check your Local Disk (C): now. You’ll find the partition regaining the 20 GB(appx). *Local Disk(C): is considered as the operating system installed drive in this demonstration. MoboMarket is the next best alternative that you can get for Google Play Store and here we will have a genuine and detail review of this MoboMarket for PC and MoboMarket for Android smartphone (Previously known as MoboRobo). It is one most popular Android Managers with millions of satisfied users around the globe who are using it to their advantage for managing their smartphone from their PC. This is very good news for those guys who generally spend most of their time in front of PCs as they will be able to sync their smartphones with them. Later, the MoboRobo team launched another new app for the PC user known as the MoboMarket for PC which will make things much easier for you to download & manage your apps on your smartphone quite efficiently with the help of it. And, on top of that, it also works as a multi-purpose tool that will let you manage your files, backup your data, download apps, manage media and many more. It is now updated with more new features and the bug fixed. So, it is certainly one of the must have software on your smartphone and PC. Now if you are still one of those guys who want more detail information about this MoboMartket for PC then, follow till the end of this article as here we will have the detail review of it. What is this MoboMarket for PC? Now you might have been already quite familiar with what this MoboMarket does with the above lines but nevertheless here are some of the things that you might want to know about it. MoboMarket for PC is a smartphone manager that will let you connect your PC with your smartphone and manage all your things on it efficiently. When you use this MoboMarket for PC software with the MoboMarket for Android, it will let you transfer or manage all your data and files on your smartphone right from your PC. Now, here are some key features of MoboMarket for PC that will make you crave for this software to have on your PC and smartphone. Device Manager; Sync Your files: If you are a guy who likes to store a lot of your favorite photos, videos, music on your smartphone, then it generally becomes quite tough to manage all those files from a smartphone. When MoboMarket is used, it will let you control and sync all your photos, videos, music or any other files with your PC from your smartphone. App Management: MoboMarket also works quite well in this case of app management as it will manage all your apps installed on your smartphone and also will let you update and delete any of your apps. Now comes the exciting part as you might be quite pleased to know that MoboMarket will let you install many apps from their store for free. Device Information: This is another unique feature that is offered by MoboMarket for its users and it generally displays all the information of your Android smartphone, such as your Android Version, Serial Number, Device Storage and much more. Control over Text Message: Control over text message is another one of my personal favorite features of MoboMarket that allows the users to get full control over the text messages on their smartphones right from their PC. Resources Manager: Now you might be actually complaining that I have already told about this but let me clear it out to you that it was just an sneaky peaky into the whole awesome world of recourses that MoboMarket has to offer for its user. And it also has to be mentioned again because MoboMarket offers the most of Recourse Manager that will let you optimize your Android device to the fullest. And some of the cutting edge features offered by MoboMarket are its well organized category of apps and games for user, its ability to download the app even from your PC, recommendation for the apps and games that you will like. It offers backup and restore facility for your smartphone’s data like contacts, videos, movies, songs, photos etc. It offers the facility to connect your smartphone to PC via WiFi. It will allow you to easily move, delete and copy your files. It acts as a scanner to scan out all the junk from your smartphone. It allows you to view your videos, images, in full-screen mode. Now that you might be very keen to know that MoboMarket has rolled out its latest version of the software with many awesome features added to it. Here are some of the improvements made by MoboMarket to its new version. Now the biggest buzz in the MoboMarket V5 is the introduction of new MoboMarket iOS manager for iOS users. This means that, even the iOS devices will be able to use MoboMarket for PC now. Here are some of the features of MoboMarket iOS for iOS users. It allows the users to manage their iOS device, both jailbreak and non-jailbreak versions. It allows the users to manage all their files including videos, music, photos and apps on their iOS device from their PC. It allows the users to back up and restore all the data of their iOS Smartphone to their PC. And now with the new version, it has made some improvements to its Android version of MoboMarket and here are some of them. New Green Skin for Android. Well! This certainly makes MoboMarket for PC more awesome and if you have used this Smartphone Manager please do share your experience with us.